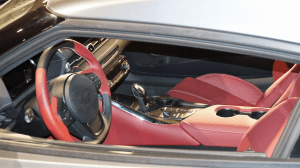 January 17, 2019 – Imagine our surprise when we spotted this beauty as we walked around the incredible display of vehicles at Barrett-Jackson in Scottsdale, Arizona. 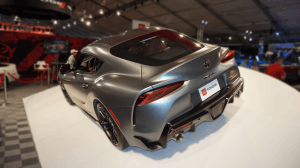 This specially prepared first edition Supra has a special VIN ending in 20201. It was auctioned off a few days after these pictures were taken for $2.1 Million US dollars. The money was donated to charity. 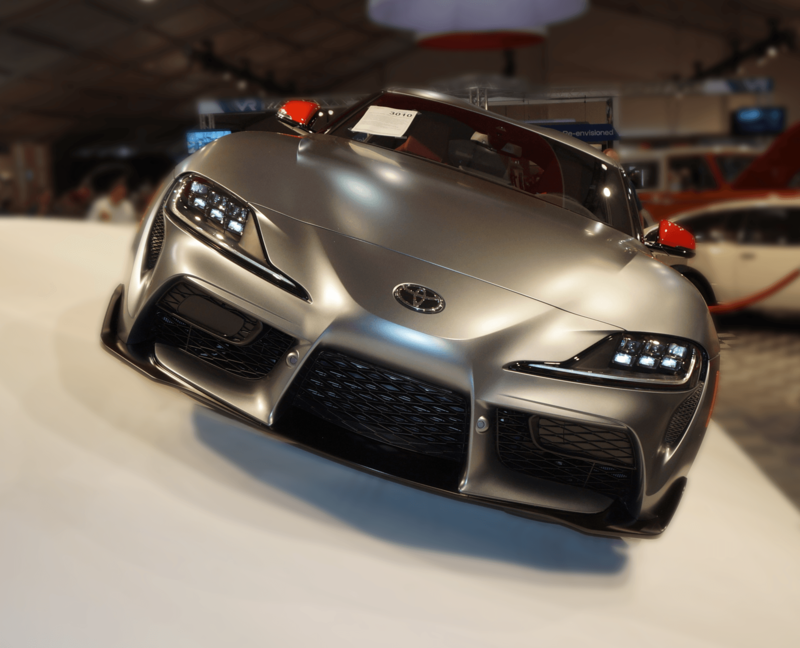 The display also included pristine examples of Supra generations from the past. Seeing those cars displayed alongside this stunning special edition car brought back lots of fond memories. It is a reminder of the sporty heritage that is so much a part of Toyota’s history here in Canada. Many of us at the store can’t wait to take delivery of our first one.